…it’s not what you think! With all the excitement/roller coaster DE news last week, I forgot to show you this. That little yellow bead was in David’s ear. OH YES, when I took him to the pediatrician last Monday for his allergies, the doctor peered into his left ear and had a look of surprise. “X” school was David’s Pre-KINDERGARTEN school. That’s right folks, this piece of plastic was in his ear since LAST SUMMER. Since he never got sick, no one knew about it… not even me (you’d think he would have yelled when I cleaned his ears)! The last time someone looked in his ear before last week was his well visit last May. This story will undoubtedly be retold for many years to come. Wow. It’s been there for a year?Crazy. Glad he’s alright. holy crap! that is crazy, glad he didn’t get sick from it! 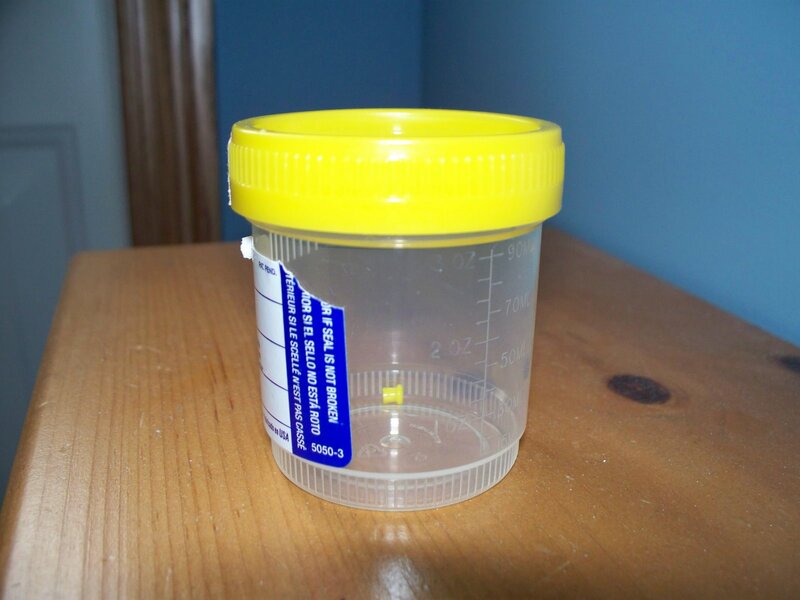 and glad you aren’t showing us your pee sample, haha! Oh my, he and B would get along SO WELL!And I’m relieved that you know what wasn’t in that specimen cup, ha! Oh wow! I wonder what he was thinking when he was putting that in his ear. Those boys sure keep us on our toes, huh? Glad it is out and there were no ill side effects! Did the ped also check out his nose? Ya just never know;-) Fun story for the future! !